Tirol, in western Austria, is wholly Alpine in character and, as such, a perennially popular choice for skiing holidays. However, the capital city, Innsbruck, enjoys a moderate climate, such that it is the ideal base for a camping holiday all year round. Contact LUX-camp for more information on luxury camping in Tirol today! Why Should I Camp in Tirol (Innsbruck)? 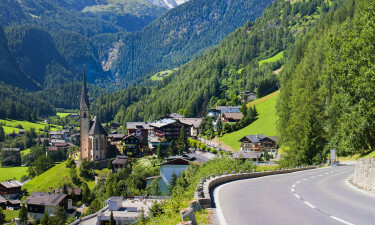 The history of Tirol as a human settlement dates back thousands of years but, following World War I, the state was divided into northern and southern parts, separated by the backbone of the Alps, known as the Alpine Divide. North Tirol was assigned to the Republic of Austria, but following invasion by the Third Reich in 1938, did not come back under Austrian control until 1955, when the country was re-established as a sovereign state. Natterer See is a holiday camping site situated south of the provincial capital city, Innsbruck, just 4 miles away from the city centre. The luxury camping site offers comfortable mobile home accommodation with panoramic views over fantastic Tyrolean mountain scenery. Facilities include a bistro bar, a cinema, a supermarket and a private swimming pool. 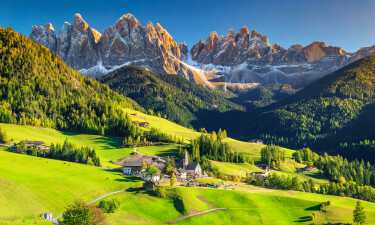 The unrivalled landscape of Tirol hides many natural wonders and camping in Tirol allows guests to reconnect with nature without abandoning their home comforts. 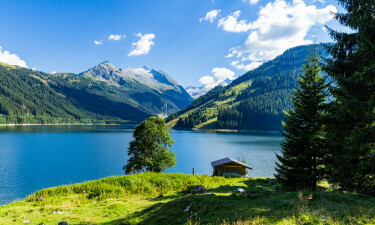 Tirol is home to five nature parks in all, including the wild, primeval landscape of the Hohe Tauern National Park, with its unique flora and fauna. Tirol is a congruous blend of the past and present. Innsbruck is one of the most popular centres for winter sports in central Europe and played host to the Winter Olympic Games in 1964 and 1976. Nevertheless, the old town of Innsbruck has narrow streets lined with some fine examples of medieval architecture. Popular tourist attractions include the Golden Roof, the Hofburg, the Franciscan, or Court, Church and the Tirolean Folk Art Museum. 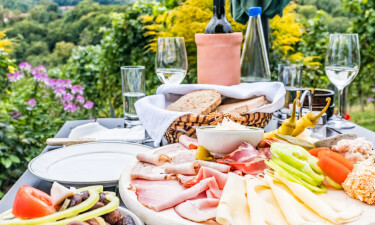 Tirol offers a fine selection of places to eat and drink and takes great pride in its local produce, which features on the menu of any eatery bearing the “Tiroler Wirtshaus” logo. Look out for regional specialities such as kasspatzln (literally “little cheese sparrows”), which are soft egg noodles covered with grated cheese and apfelradln (literally “apple wheels”), which are battered, deep-fried apple rings sprinkled with cinnamon and sugar.